First, lets bask in the awful yet accurate glory of my original title for this quickie: Dependency Injection Argument Specific Instance Objects. If you’ve worked your way through my Magento 2 Object Manager series, you know its possible to tell Magento’s object system that a particular object should be instantiated every time its used in automatic constructor dependency injection. Magento will always instantiate a new FooBazBar. What I didn’t realize until today is, shared="false" works with argument replacement as well. 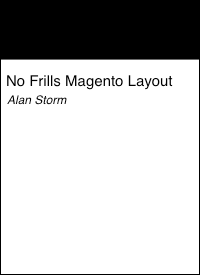 For example, the reader pool in Magento’s layout MagentoFrameworkViewLayout is a separate instance from all other layout reader pools. One of the bigger challenges when working with Magento 2 has been knowing which objects are instance objects, and which aren’t. There’s no easy way to tell at a glance, and making a wrong assumption here can send you down the rabbit hole.